February 12th – Telford is a new town that’s about 50 years old: Yet it’s also a place of great history, considered by many to be the birthplace of the industrial revolution. Today, I discovered that even under the ‘new’ Telford there is a big, big past. Riding up the cycleway to Hortonwood, I go towards Stafford Park then turn over the pedestrian bridge and go through Priorslee. 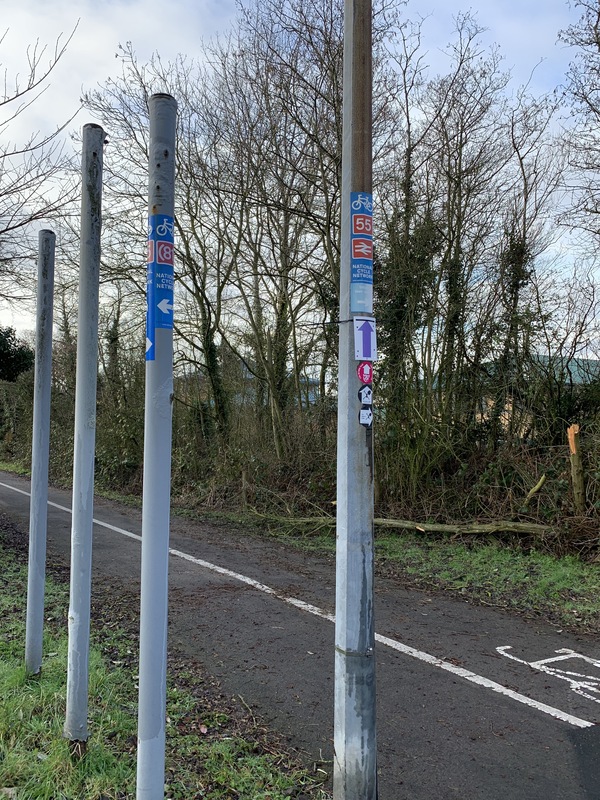 At the Stafford Park/Priorslee crossroads, there is a mess of old signposts, their boards removed when the local cycle routes were redesignated. On the orphaned posts, as well as the usual mess of Sustrans guff were new stickers for The Miner’s Walk. 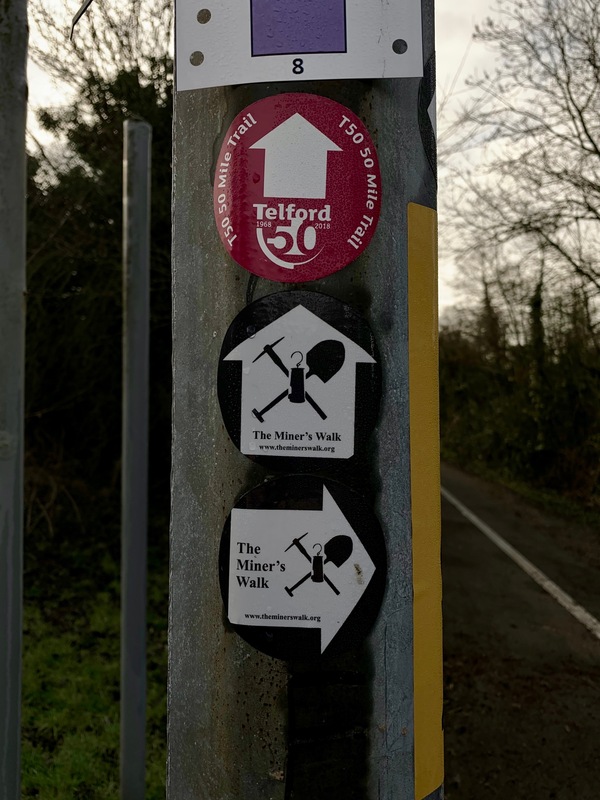 Intrigued, I looked up the website mentioned on the sticker, and found that it’s a local history project with a five and a half mile walk through industrially significant spots in North Telford. There is a great website here. – go check it out. It’s superb. I found out that only a few hundred yards from this spot, up until about 1910, there was a mine called Dark Lane Colliery. In 1862, it was host to the worst loss of life in Shropshire mining history when 9 men and 3 boys crashed to their deaths when a cage rope came free. I had of course heard of the Dawley pits, and those of Coalbrokedale, but had no idea the history was so complex and far north. So those little stickers led to me learning something new today. Wonderful. I shall be investigating this further.